Faroe Islands Explorer – The Great Canadian Travel Co.
Our Faroe Islands Explorer escorted tour allows you to explore this fascinating group of islands, while having the convenience of a driver and English speaking guide along the way. Prices are quoted per person in US$ based on two people sharing a twin room and one person in a single. Triple rooms are not available on this tour. Rates are subject to change based on currency fluctuations and the availability of the components of the tour. Fly from Copenhagen and arrive at Vagar airport. 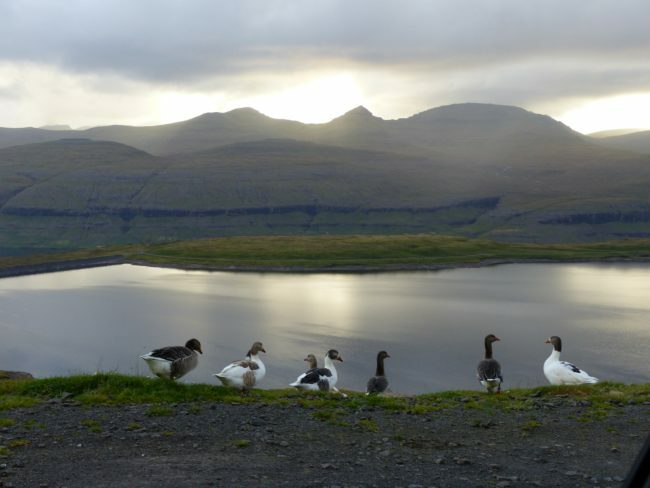 Flying in to the Faroes offers a spectacular introduction to the beauty of these islands. Landing from the west is especially stunning as the plane slips past the rugged splendour of Mykines, alongside the towering basalt sea stacks at the entrance to Sørvágsfjørður, then over the picturesque village of Sørvágur and onto the runway. There are few airports in the world which offer such impressive vistas to the arriving visitor. These panoramas, however, provide only a hint of what visitors will soon discover on their exploration of these western isles. You will be met at the airport on arrival and transferred to the nearby Hotel Vagar for check in and an informational meeting. 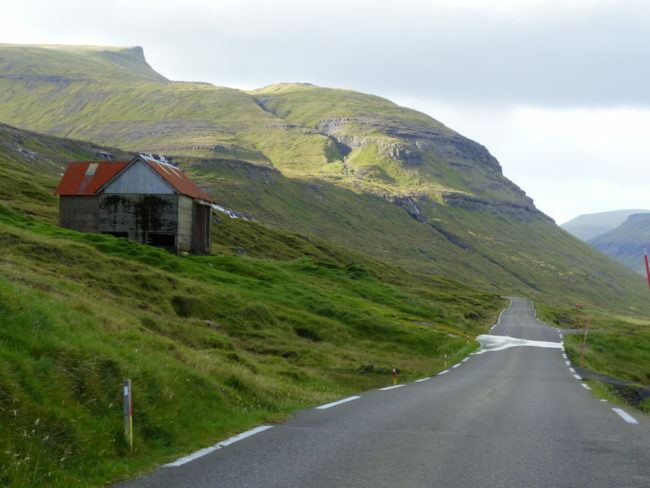 This afternoon enjoy a two hour sightseeing trip of this island, Vagar. You’ll return to your hotel where you will enjoy a group dinner. This is a perfect choice for first time visitors to the Faroe Islands or those who are a little reluctant to drive. 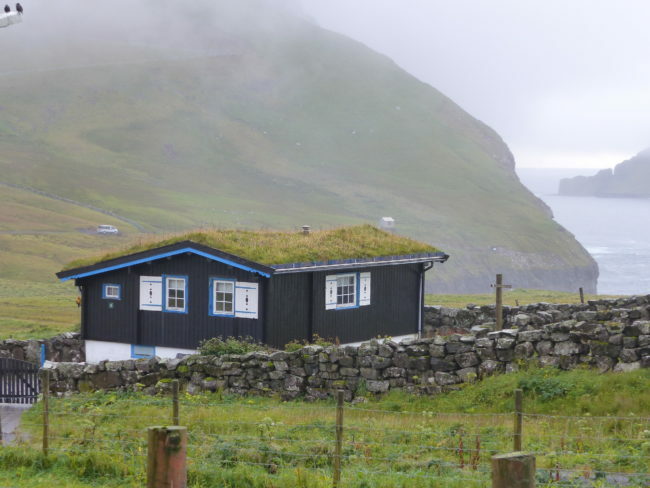 A local guide will show you around the rich natural and cultural sights providing a real insight into the Faroese community. You’ll make stops for fantastic photo opportunities, short walks, meals and time to take in the beauty and serenity all around you. Experience the unique atmosphere, the serenity vs the ever changing and sometimes violent weather. The traditional way of life vs the modern age, which seems to have taken the Faroes by surprise, leaving a charming blend of old and new. The tour will take you around the islands that are reachable by car with three different hotel locations. 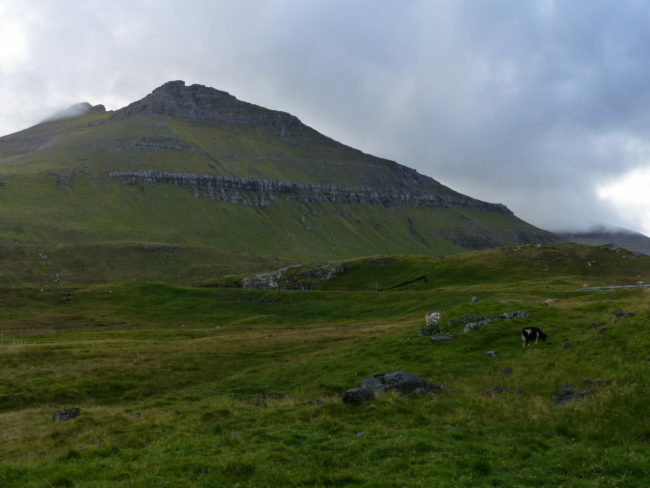 We’re sure that, in addition to getting to know the Faroe Islands, you’ll fall in love with them and find yourself wishing to return one day and spend a little longer in “The Land of Maybe” as it is sometimes referred to. 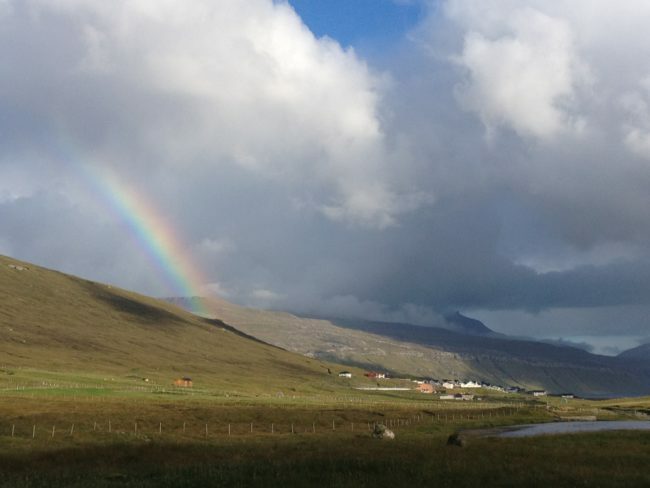 After breakfast at the hotel you will check out and travel with the group from Vagar through the Faroe Island’s first sub-sea tunnel to the neighbouring island of Streymoy. The tunnel under the Vestmanna Sound (4,900 metres) is of major importance for tourism as well as for everyday life in Vágar. 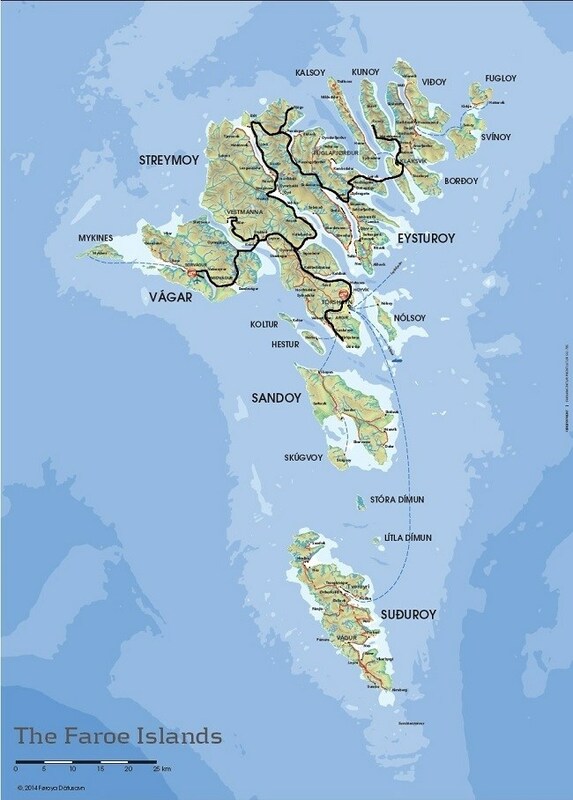 At present it is possible to live in Vágar and benefit from all the possibilities and options on the islands that are now connected: Vágar, Stremoy, Eysturoy and Norðoyggjar. Even if you do not live on Vágar, the options of the islands are that much closer and you are not dependent upon the clock. 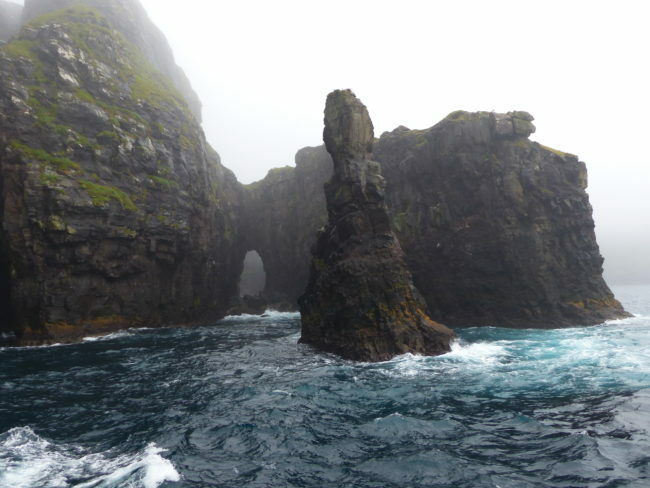 On Streymoy you’ll visit the stunning Vestmanna birdcliffs on a boat tour. Drifting along slowly under the towering cliffs as seabirds glide overhead is an unforgettable experience. Sailing between the rugged sea stacks and exploring the many grottoes along the coast, with their rich textures and rainbow colours, challenges the imagination and the spirit fills with amazement at the wonderland that nature has created in the Faroes. Afterwards you can visit the Saga Museum to get a great overview of the islands’ history, followed by a lunch at the museum’s restaurant. The tour continues through Streymoy, across the bridge the locals refer to as Bridge Over the Atlantic, to the next island to the east, Eysturoy. 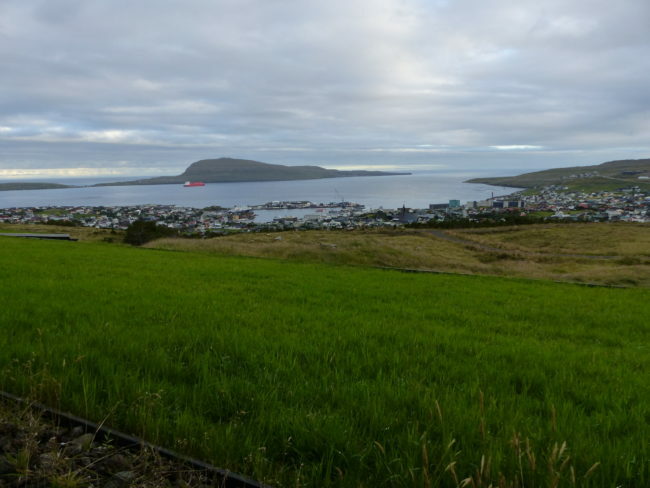 You will travel to the northern part of this picturesque island to the captivating village of Gjogv. 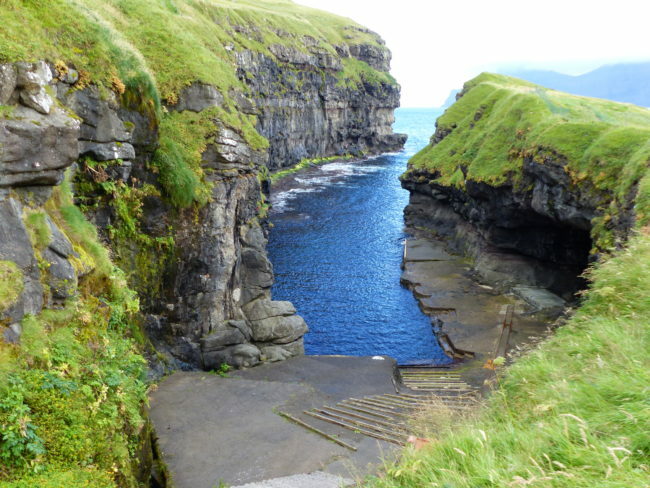 Gjogv means “gorge” in Faroese and the town has a fitting name as there is a stunning sea gorge cut into the cliffs within a short stroll from your accommodation. The steep track down to water level has tracks which are used to transport fishing boats from the village down to the sea and back up during off season. You will be served a delicious dinner at your hotel, made from locally sourced food. Stay in Gjogv for two nights. Enjoy breakfast at the hotel before setting out for a full day of touring the northern islands Bordoy and Kunoy, known for their high mountains and tiny, traditional villages. 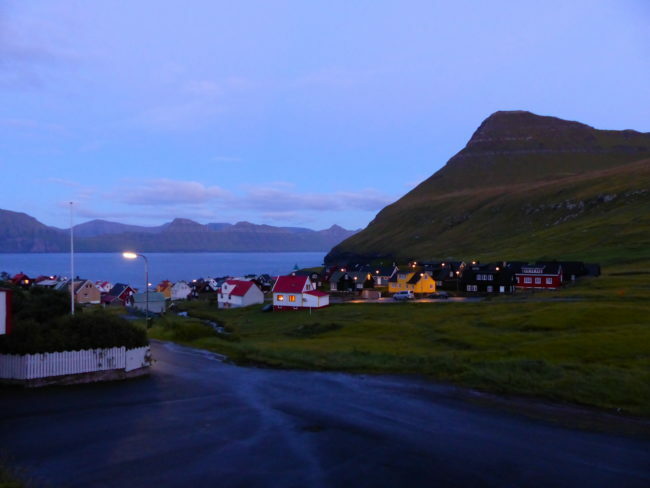 Overwhelming scenery and impressive peace, but it is the busy and energetic town of Klaksvík that is the centre of the Northern Islands area of the Faroes. 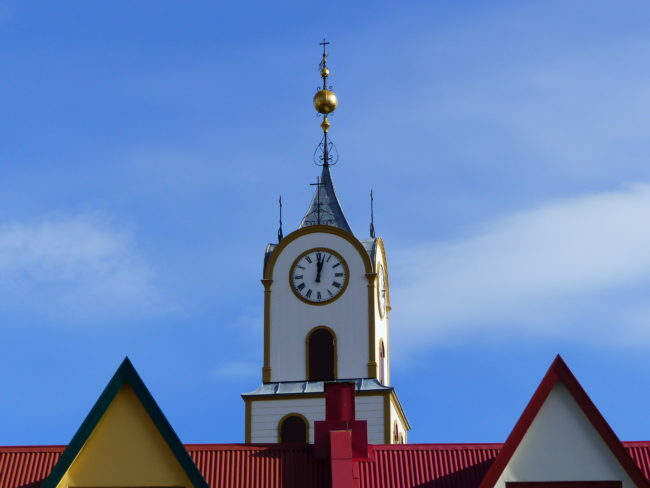 In 1838 the Royal Trade Monopoly opened a branch in Klaksvík and it became an independent municipality in 1908. 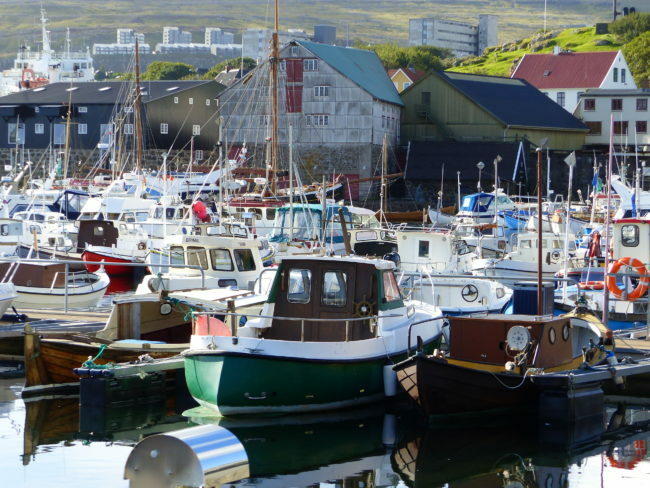 As Klaksvík is situated around a very well protected bay, approved as a winter berth for seagoing vessels, many skippers and their crews moved to Klaksvík. 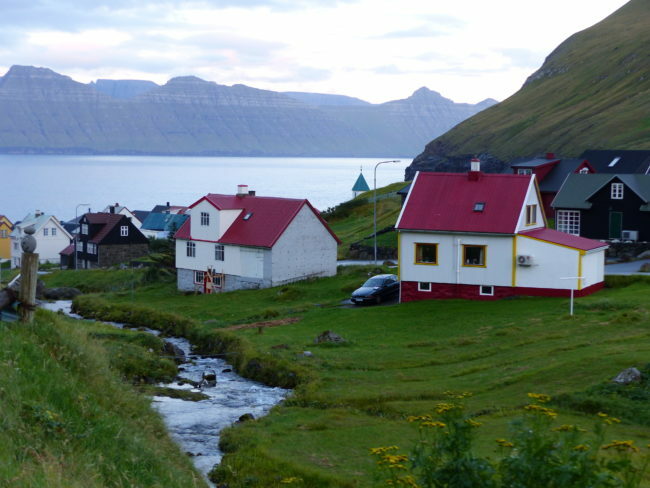 From that time on Klaksvík started to develop and became the main fishing port in the islands. 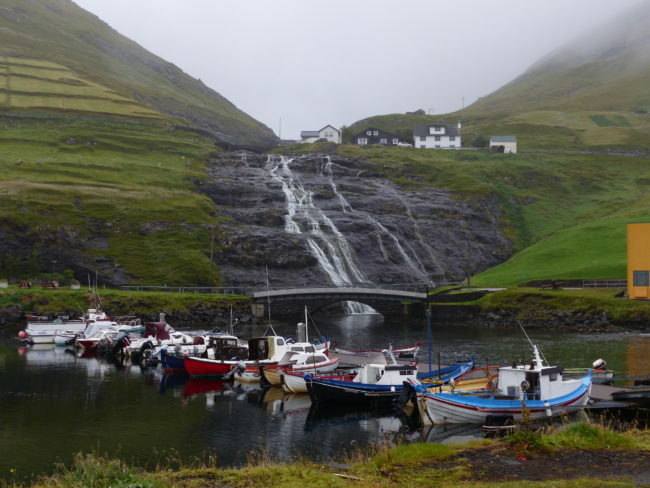 Klaksvík has all the facilities you expect to find in a developed town and is very important for Faroese industry and economy. The Christians church is one of the most interesting to be found on the Faroes, designed by the Danish architect Peter Koch. and the first large church in Scandinavia to be built in the ancient Nordic style. The font is considered to be approximately 3000-4000 years old and is, without doubt, the oldest in use in Scandinavia. 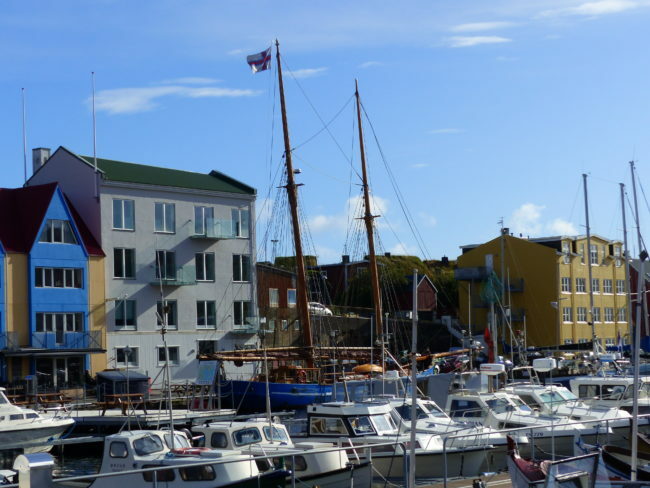 You will have lunch in Klaksvik and do a bit more touring on your way back to Gjogv for dinner and your second overnight in this lovely town. After breakfast you will check out of your hotel and drive across a scenic mountain pass, with the islands’ highest mountain Slættaratindur (880m) towering above you. Continue on along the coast with spectacular views of the sea and cliffs to Eiði, a village sitting on a flat isthmus with incredible views over the fjord and Slættaratindur mountain. From Eiði you’ll continue south and cross the Bridge Over the Atlantic back to Streymoy. Travelling up a narrow, one lane road, leads you to Saksun, tucked away at the road’s end. As you get closer, the vistas surprise you around each twist in the road, and it is one of the most distinctive villages in the Faroes. 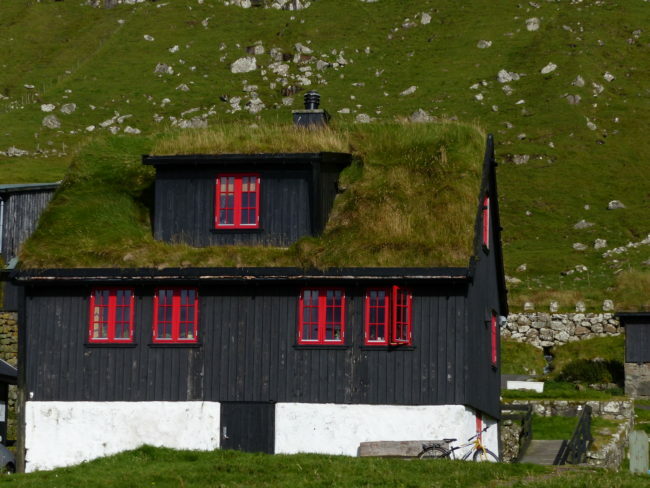 The old farm, Dúvugarðar, is now a national heritage museum, and together with the outbuildings that belong to the museum and the nearby exquisite stone church, it provides an intimate look into the rural life of the Faroes in the past. The large, round bay below the farm was at one time a natural harbour but today is full of sand and only accessible by small boats at high tide. At low tide you can walk on the sand out to the seashore (but check with your guide first if it’s possible based on the schedule of the tides before heading out or you might not return with dry feet!) 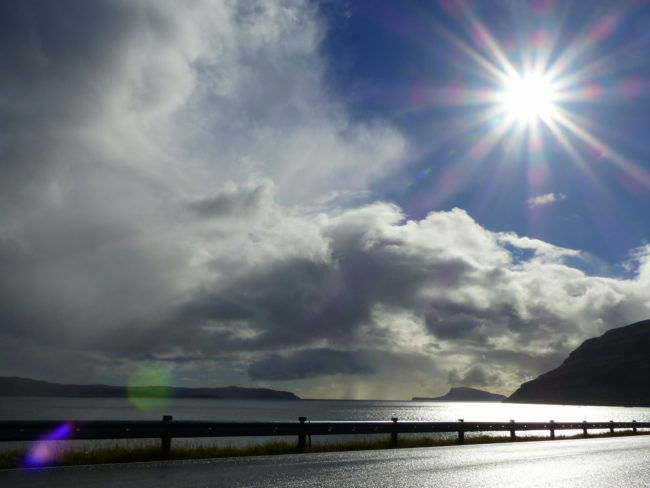 From Saksun you will travel along the stunning coastline to the capital city, Torshvn. Enjoy a group dinner in a restaurant in the city centre and check in to your hotel for a two-night stay. 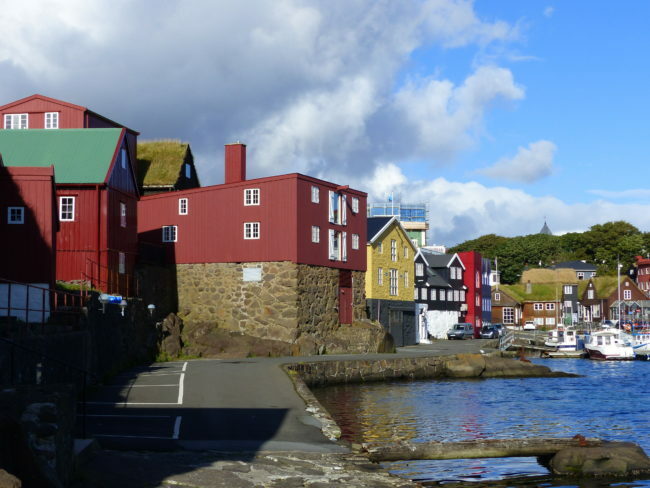 After breakfast at the hotel you will have a guided tour of Torshavn which will give a great overview of the local history and architecture. You’ll visit Reyni, the old town, the world’s oldest surviving parliament building Tinganes and Skansin fort. 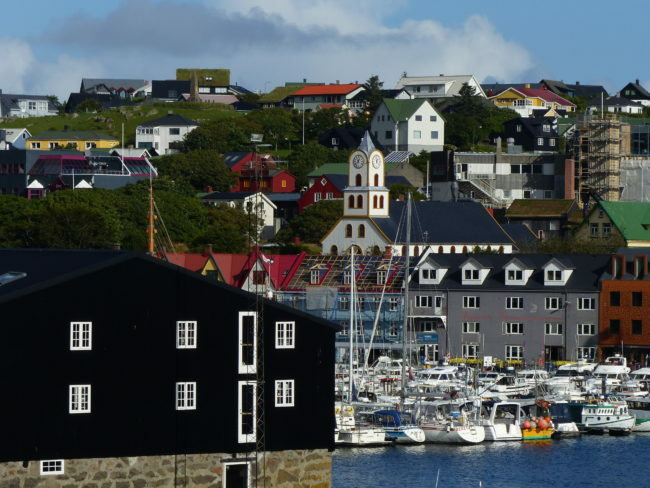 From the historic heart of Torshavn you will continue on to the historical village of Kirkjubøur, the old cultural centre of the Faroe Islands. Visit the roughly 900-year-old Roykstovan, where the King’s yeoman still lives after 17 generations. Ólav’s church from AD 1111, named after King Olav the Holy, the oldest church in the Faroe Islands, which is still in use. See the ruins of St. Magnus Cathedral, which is regarded as one of the largest cultural attractions in the Faroe Islands. 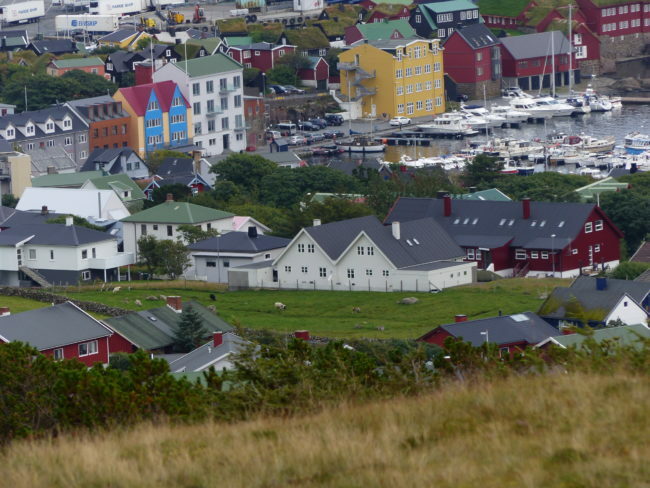 Return to Torshavn for lunch and spend the afternoon exploring on your own. There is an optional farewell dinner this evening at Àarstova, an authentic and cosy restaurant in the old part of town. The additional cost for a 3 course meal is DKK500 (approx. US$78) per person. Please pre-book this farewell dinner along with your tour. Enjoy breakfast at the hotel. The tour bus takes you west to Vagar island. Included is a return boat trip on the “Lakeside”, the most special and exciting vessel in the Faroes, across Sørvágsvatn, the largest lake in the Faroes, to the enchanting cascade called Bøssdalsfossur that falls from the lake into the ocean. After lunch at Hotel Vagar you will be transferred to the airport to catch your departing flight back home or on to your next destination. 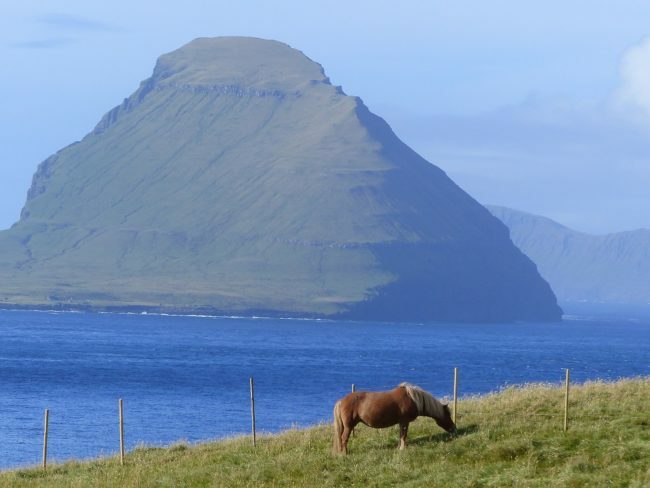 If you would like to spend a bit more time in the Faroes doing some more sightseeing, hiking or cycling, we can arrange for guided day tours departing from Torshavn or reserve you a rental car, allowing you to explore the area further. The 6 day/5 night tour works with flights from Copenhagen. 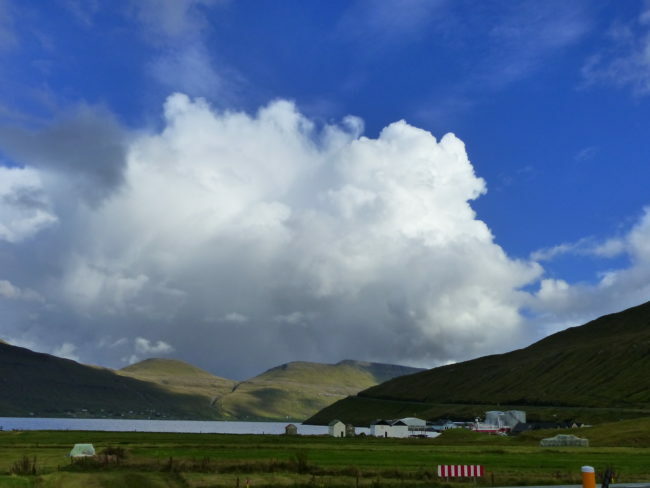 Should you prefer to fly from Reykjavik, Iceland 2 extra nights of accommodation are required in the Faroe Islands (1 night in Vagar and 1 night in Torshavn). Please inquire for pricing on the extended 8 day/7 night tour program. We can also provide you with quotes for your airfare to/from Vagar along with any additional accommodation and transportation you may require in Copenhagen or Reykjavik.